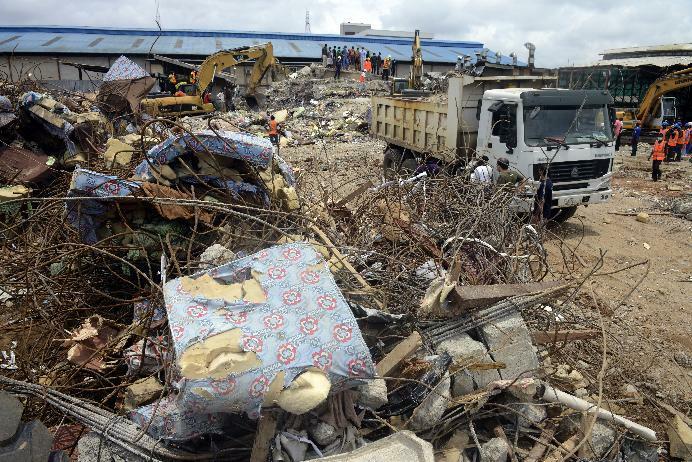 Lagos (AFP) - Nigerian preacher TB Joshua on Thursday broke his silence over a building collapse that killed 80 at his Lagos megachurch but denied lack of cooperation and stuck to his theory of possible aerial sabotage. The popular televangelist, known as "The Preacher" or "The Man of God" to his thousands of followers in Nigeria and around the world, also indicated that other overseas nationals were involved. South Africa's President Jacob Zuma on Tuesday said that 67 of his compatriots were killed when a guesthouse for foreign followers of the Synagogue Church of All Nations (SCOAN) came down last Friday. The death toll from the tragedy climbed after 10 more bodies were pulled from among the twisted metal and shattered masonry of the building on the sprawling SCOAN compound. Joshua had not directly commented on the deaths and had only published Bible quotations on his Facebook site and Twitter account. But in a statement he extended his sympathies to victims' families and described those who died as "martyrs of the Kingdom of God". "The pain of one is the pain of all. It is indeed a sad and painful moment for the families and friends of those who have lost loved ones," he said. "To all those who lost family members and loved ones, please accept our heartfelt commiserations." Joshua said "Nigerians, South African and citizens of other nations were affected" but did not specify which countries or say whether they were among the dead, 131 injured or both. South Africa's High Commissioner to Nigeria, Lulu Mnguni, said 17 of his compatriots were unaccounted for and the church had set up a hotline in Johannesburg for concerned relatives. "It (the death toll) can't all be South Africans," he told AFP. "There were also Nigerians who were working." Two children were pulled alive from the collapsed building but both their mother and father were among the missing, he added. "They were under the rubble together with their father. Their father kept them talking to each other," he said. TB Joshua inspires an almost fanatical devotion from his thousands of followers around the world, who are drawn to his services by claims of miracle-working and prophecies. But rescue workers have complained of a lack of cooperation from Joshua and the church authorities, which included preventing the emergency services from accessing the site until Sunday. 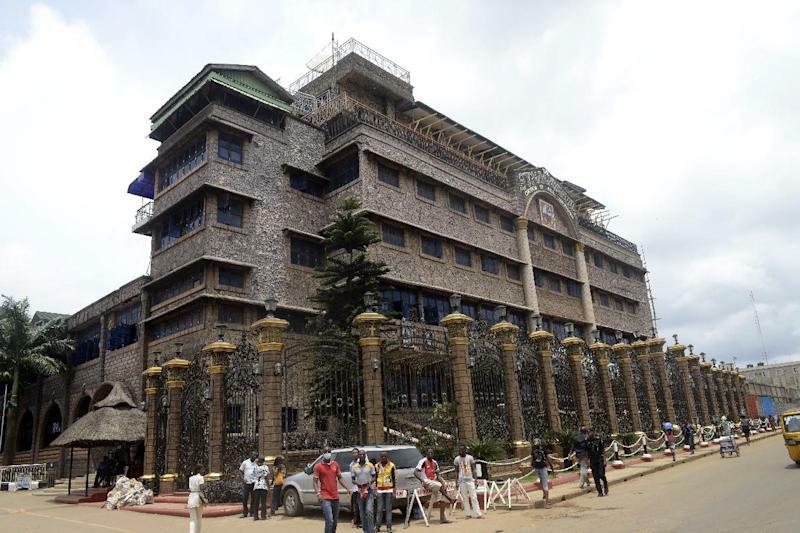 The southwest coordinator of the National Emergency Management Authority (NEMA) said SCOAN officials had not disclosed the identities and nationalities of those in the building at the time. Joshua rejected the lack of cooperation claims as "inaccurate". "Contrary to this, we want to categorically state that the church has provided assistance when and where required and continues to do so: good Christians are good citizens," he said. Engineers have suggested that the addition of extra floors on top of the existing building for foreign followers of the Pentecostal church overloaded the structure, causing the fatal collapse. 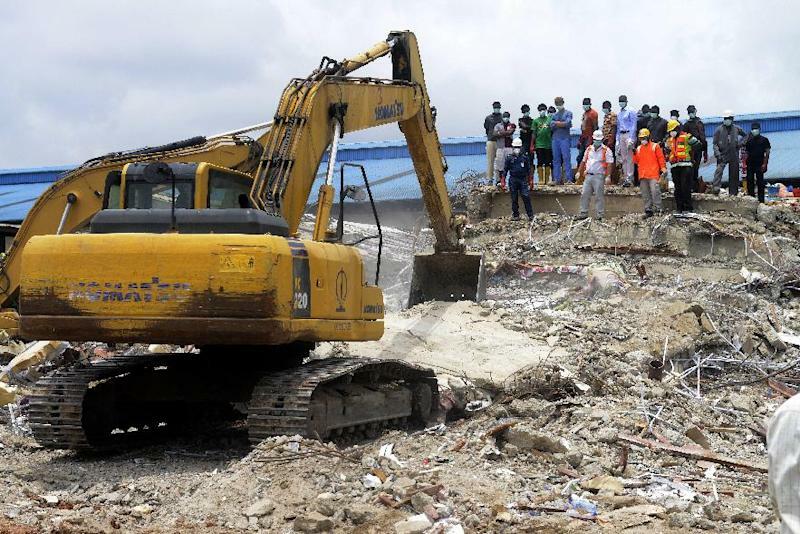 On Wednesday, the Lagos State government ordered urgent structural checks of all buildings on the SCOAN site while NEMA said that rescue operations could wind up on Thursday. In South Africa, Zuma rejected criticism that his government was slow to respond to the tragedy. Joshua, whose followers include heads of state and top-level politicians such as Malawi's former president Joyce Banda, again suggested that a low-flying aircraft may have been to blame. "This incident was preceded by the appearance of a strange aircraft which flew very low over the building four times and then disappeared," he stated. "The church views this tragedy as part of an attack on The Synagogue Church Of All Nations and in particular Prophet TB Joshua. "In due course, God will reveal the perpetrators of this unfortunate tragedy."